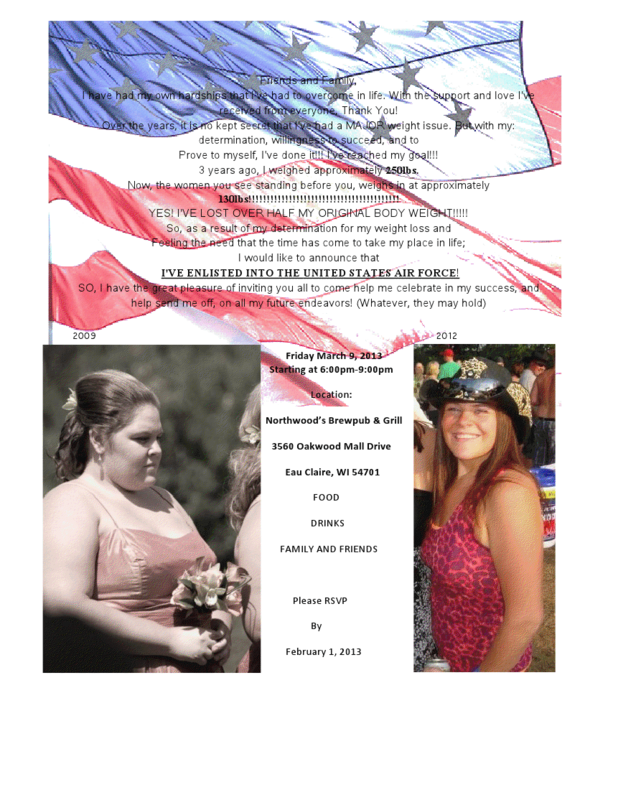 Saturday evening, Terry and I went to Northwoods Restaurant to bid farewell to our friend Audrey who has joined the United States Air Force. This girl has come SO far and I am extremely proud of her.. Words can't even describe the amount of determination Audrey has. The picture below shows how far she has come! We won't see her until our wedding in October, she'll be missed! I skipped my long run on Sunday since I didn't get home from work until after 3:30 and Terry and I had to be at church at 6:00 for a class we are taking. I didn't want to rush out the door right after work to be rushed to shower and eat dinner before taking off. 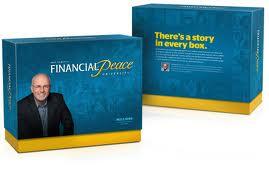 We are taking Dave Ramsey's Financial Peace University. For those of you who don't know who Dave Ramsey is, he is America's financial "guru". His program has helped millions of people get out of debt. Terry's parents offered to pay for us to take the course so that we can start thinking about our combined finances once we get married this year. I was not thrilled to take it, but after going to a couple of classes, I find it very interesting! Dave Ramsey is funny and easy to follow/relate to (you watch him speak via DVDs in the class then discuss it with the group and leader). Speaking of church, we were assigned our marriage mentors for marriage counseling! We are hoping to meet with them this next week along with our pastor to discuss our future, I'm excited! SO, my long run got moved to Monday and Eau Claire, of course, had its hundredth snow storm that day :( Off to the treadmill it was... Have you ever ran 7+ miles on a treadmill? It's not fun. It's rather very boring and irritating since the treadmills at the gym max out at 60 minutes so you have to stop and reboot the machine so you can finish your run. Humph. I came home from the run and passed out, literally. It was pretty scary. My blood sugar must have dropped dramatically once I stopped running and I had to wait for Terry to get home so he could get me something to eat since I literally couldn't move from the floor. Luckily I didn't have to wait long and once I had something to eat and drink, I felt much better. That made me a little nervous to run yesterday.. and even more nervous to push myself too hard. Once I stepped onto the treadmill though, I felt that I could knock out 3 miles with no problems. I have NEVER finished 3 miles in under 30 minutes. Ever. So this was a pretty awesome feeling. And I didn't pass out afterwards, so that's good! My work day finished early today and Terry has the day off so we're off to run some errands and do some grocery shopping so I can prep some delicious food later! Prepping food ahead of time makes meals and especially snacks SUPER duper easy. In order to stay in the Chippewa Valley JAM Challenge, I need to lose about 1.5 pounds per week before the weigh in on April 30th. I'M DOING IT! But first... I have some BIG news. Wednesday is going to be my last day at LSS. 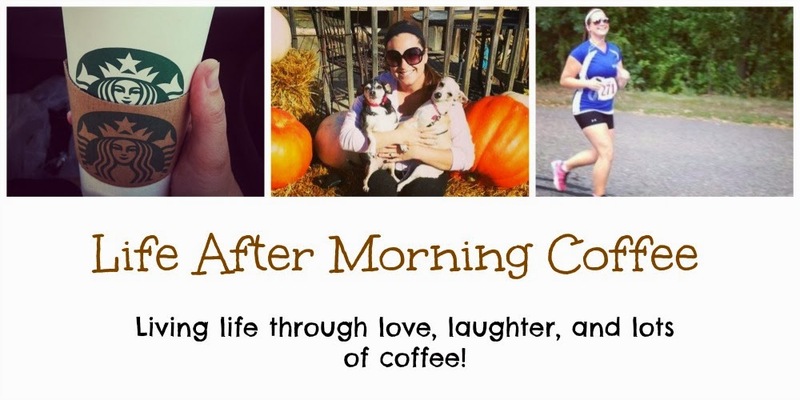 Congrats on the new job (and the 7 miles ON A TREADMILL)!! !